In the first days of the New Year, I tend to look back to the past days and reflect on what I gained from the past year. Three important travels and a few brief adventures did not occupy my entire year, but turned out to be a good experience. Painful at times, but still valuable. The first reflection that comes to mind is that I definitely spent too little time in the mountains. At the beginning of the year, I was preoccupied with editing my book about a hike across Iran. It is quite a hefty book. When I hold it in my hand, I feel satisfaction which comes from creating something that will last. Still, I know it took a few months of my time. Time I could have spent on the trail. The short expeditions you could follow on Instagram provided a nice change of pace which I needed to recover from everyday rush. Satisfying? Very much so. And yet, I am aware that the real life and real challenges lie elsewhere – behind the doorstep. Early summer witnessed my return to the highest peak in Europe. 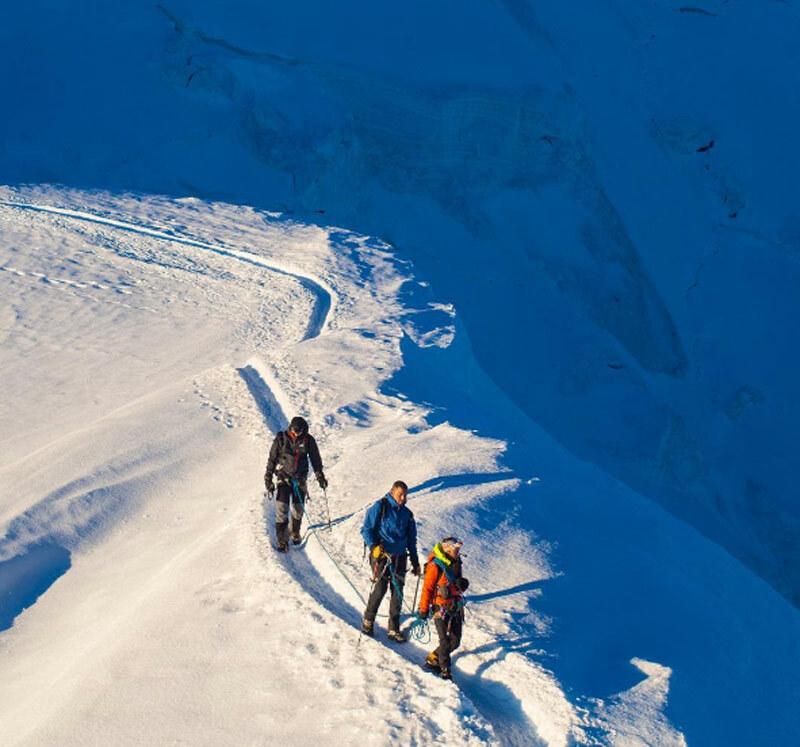 With the Mont Blanc ascent, I hoped to return to high mountain climbing. Even though I climbed all by myself – and you hardly ever feel comfortable in the maze of ridges and glaciers – I was successful and got to the top earlier than expected. It took me only 6 out of 10 days I had planned to spend on the mountain. I started the ascent from a camp at a relatively low altitude, which made things more complicated. But as I reached the roof of Europe at the crack of dawn, I felt invincible. That feeling might have been misleading, though. Only two weeks later, in mid-July, I touched down in Iceland for a traverse of the island. Volcanic landscapes combined with harsh weather and ultimate solitude make this place the perfect destination for explorers looking for challenges and adventures. Unfortunately, a small mistake threatened to thwart all my efforts: long months of desk work and an overloaded backpack resulted in an injury. At first my condition seemed quite serious, but Icelandic doctors worked wonders and I was able to return to the trail. I eventually arrived at the opposite coast of Iceland, enriched by the new experience. I reached the limit of my endurance and understood that ambition alone is not enough, regularity being just as important. I can still see the awe-inspiring landscapes in my mind’s eye, so I have already started planning my next trip to the North. Maybe in winter? At this time of the year, a hike across Iceland takes on a whole new dimension and becomes a major expedition into the wilderness. In the last days of summer, I made an attempt at walking the length of the southern border of Poland. In the end, I only had time to traverse the Polish Carpathians. But that failed attempt had a positive side to it, too: it was the first time I set out with minimum equipment and managed to safely complete the longest trail of the Polish mountains. It also meant pushing yet another limit of endurance, because I walked as far as 60 km a day during the hike. My New Year’s resolutions? Just one: do more hiking. This year I am going to put aside my writing career and reignite my two long-time passions: hiking and photography. 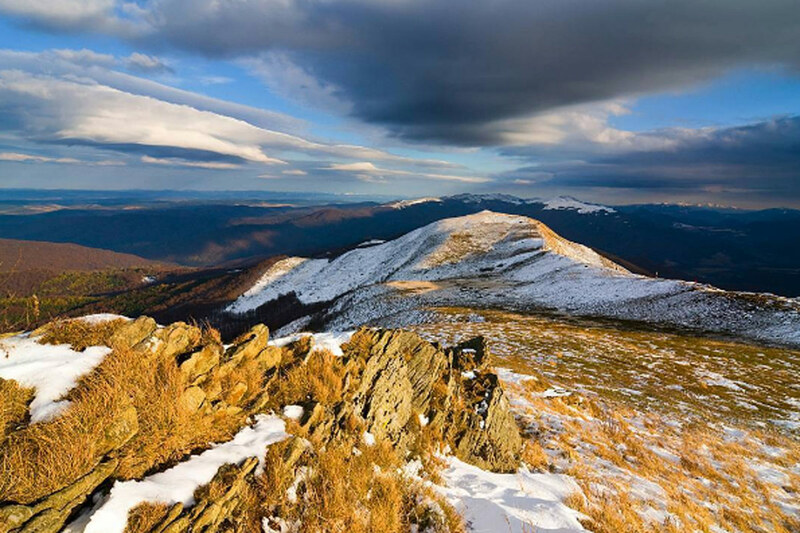 In a few days, I am setting out on my first winter hike in the Beskids, and soon afterwards, I will be going on two more hikes over a distance of thousands of kilometres. I am going to be a rare visitor to my home. But then again, aren’t mountains and hiking trails our home, too? If anywhere, it is in such places that we can live to the fullest, feel the call of nature, and truly be ourselves.